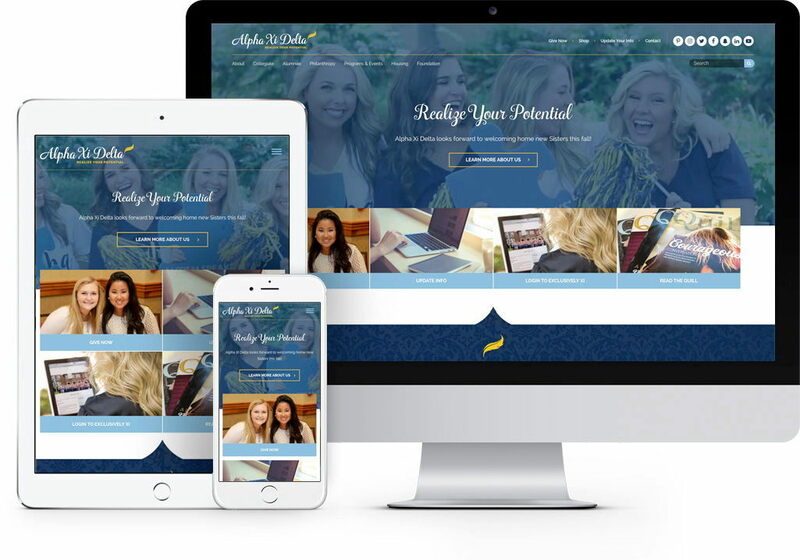 Alpha Xi Delta was ready for a fresh, modern website design and came to Mojo because of our experience working with other large Greek organizations. They were also poised to be the presenting sponsor for the national Autism Speaks Walk for the next three years—their website needed to reflect that initiative. We seamlessly integrated standard Greek third-party platforms like Omega Fi member portal and built custom module for Find a Chapter. Mojo completely redesigned the look of the website around their new logo and branding, with a gorgeous background video on the homepage and elements that reinforce their prominent role as the presenting sponsor for Autism Speaks Walk. We created a custom module that would allow the user to search and filter chapters. This allowed for a more intuitive interaction for a person to find a chapter quicker and easily with out digging through content. 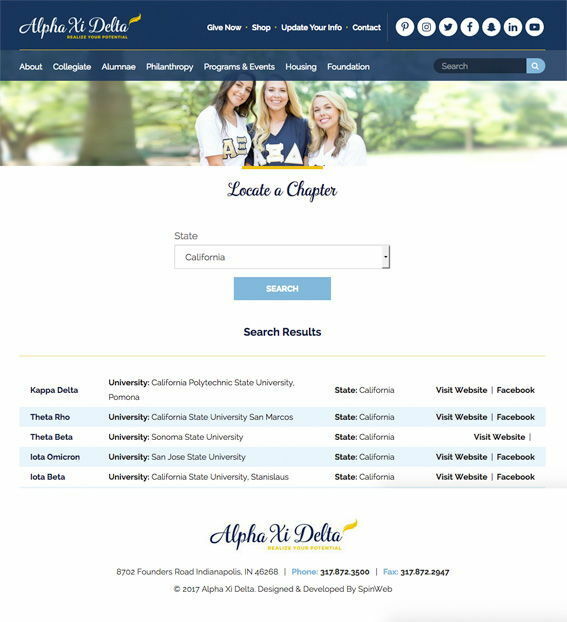 Visit Alpha Xi Delta's gorgeous new website!